R’vive Colon Purity helps to bring healing and restore colon function by removing built-up waste and detoxing the colon. You’ve heard the adage “we are what we eat”; well, the truth is that we are also what we do not expel from our bodies! Did you take a moment to think about that? Due to our modern refined diets, over years, old food wastes may start to accumulate in the gut. It has been documented that the average rural person on a natural high fibre diet holds 3 meals in his digestive tract while the average person on a refined Western diet holds 8 meals! What’s the matter with my colon? Accumulated wastes hinder normal digestion and peristalsis, slowing down the passage of food through the bowel. As it putrefies, it feeds harmful micro-organisms whilst generating toxins that are absorbed into your body (placing more strain on your liver) and may cause other digestive complaints, such as gas or bloating. Wastes from the rest of your body are primarily transported to the colon for excretion. An inactive colon means that these wastes are not being expelled properly and are often re-absorbed, a process called auto-intoxication. Toxins that are re-absorbed are often stored in your fat or organ cells, affecting the health of your whole body. I don’t want this muck inside of me! The bad news is that if you have been struggling with constipation or live on a modern diet including processed foods, you probably have some unwanted waste stored up in your colon. Now that we have dealt with all the bad news, the good news is that it is simple and easy to cleanse your colon by doing a R’vive colon cleanse. 1 Holford, P (1999) Improve Your Digestion: The Drug-Free Guide to Achieving a Healthy Digestive System. London: Piatkus, page 135 – 136. 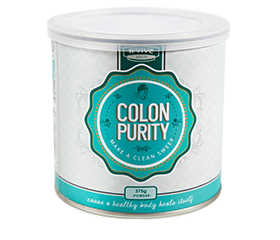 WHAT IS IN COLON PURITY? Psyllium is a natural soluble fibre that swells in water. As it expands it forms a thick, mucilaginous, gluey-like gel. 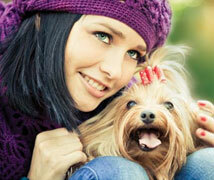 It has a number of benefits in regard to bowel cleansing and general bowel health. As a fibre it works like a broom and gently sweeps or pushes unwanted debris out of the bowel. The ‘sticky’ gel like substance it forms helps to draw colon wastes, toxins and bile salts to itself. Psyllium bulks up the stool, pressing against the bowel walls, stimulating peristalsis and normal bowel movements. Other benefits include acting as a pre-biotic and feeding the good bacteria in the gut, assisting in the reduction of cholesterol and balancing of blood sugar. R’vive only uses certified organic Psyllium Husk as you cannot cleanse and heal the body on pesticides. Clay has been used by people for thousands of years for medicinal purposes. There is even evidence of animals in the wild instinctually seeking and eating clay. One of the major benefits of clay is its ability to pull to itself toxins, chemicals, viruses, heavy metals, moulds and bad bacteria and safely carry them out of the body. It can do this because the minerals in the clay are negatively charged while most toxins are positively charged. Clay also acts an adaptogen that brings balance to the body and gastro-intestinal track. It is soothing to the intestine and is a source of minerals. 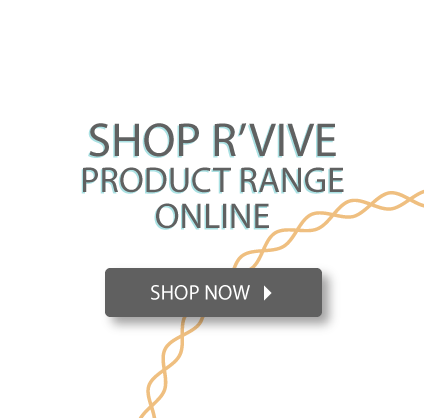 R’vive uses a natural calcium bentonite clay with a strong negative charge. Calcium bentonite clay is known for its strong drawing power. Our clay has the ability to both adsorb toxins onto its surface and absorb into its molecular structure. 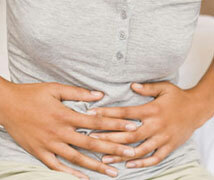 Toxins are eliminated with the stool and are therefore prevented from being reabsorbed and entering the blood stream. Our clay is alkaline with a pH above 8 and therefore aids to alkalise your body while you cleanse. Our clay is tested for high purity and the absence of heavy metals to ensure that it cleanses and does not deposit wastes into your body. Apple pectin is a soluble fibre that swells in water, with benefits similar to psyllium husks. It assists both in absorbing and pushing toxins and accumulated wastes out of the digestive system. It breaks down into short chain fatty acids which feed the good bacteria in the gut. It bulks the stool and stimulates bowel movements. The toxin absorption power of apple pectin is so good it has even been shown draw even radioactive waste from your body and pass it out through the colon. Humic and Fulvic acids are created by soil-based micro-organisms in the process of making compost. 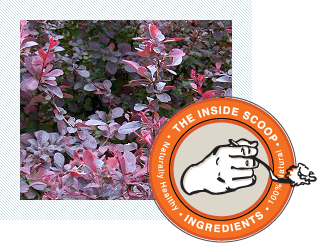 They are absorbed by the plant where they perform numerous benefits. Humic acid is particularly beneficial for the transferring of nutrients into the cell in that it increases cell wall permeability for nutritional molecules. Testing on cows has indicated an increase of 16% in calcium absorption due to humic acid. Fulvic acid is responsible for chelating minerals, making them more bio-available and easily absorbed. Fulvic acid has another unique property that makes it a powerfull detoxifier. It is able to chelate to toxic materials, rendering them neutrally charged and preventing their absorption. Fulvic has been shown to detoxify both soils and living organisms from pollutants such as heavy metals, organic pollutants, pesticides, herbicides and radioactive substances. Other benefits ascribed to humic and fulvic acid include: stimulates liver functioning, stimulates the immune system, exhibits antiviral properties, stimulate the production of good bacteria in the gut, decreases inflammation including inflammation in joints, scavanges free-radicals and acts as anti-oxidants. All naturally fertile soils contain adequate amounts of humic and fulvic acids. Modern farming practices destroy the native microbial life within the soil. Without a vibrant microbial colony the humic and fulvic acids are no longer made in sufficient quantities and the soil becomes depleted. Slippery Elm is a wonderfull fibre for bowel health in that is has both cleansing as well as healing properties. In regards to cleansing, slippery elm bulks up the gut, effectively flushing out debris from the colon as it moves through it. In regards to healing, slippery elm has a type of fibre known as mucilage which swells and becomes soft and gel-like when in contact with water. The particular mucilage in Slippery Elm has a soothing, anti-spasm, anti-inflammatory effect on the intestines. It also promotes the healthy secretion of mucous that encourages healing of the intestinal lining. Slippery elm also contains strong anti-oxidants that both work on the gut lining and are absorbed into the body. Other nutrients in Slippery Elm include phytosterols and fatty acids. Peppermint fulfils a number of functions during your cleanse. It is soothing to the bowels, promoting healing and preventing bloating. It is a natural anti-inflammatory and assists to expel gas form the intestines. It stimulates digestive secretions, tones the digestive tract and stimulates bile flow. It inhibits the growth of bad, putrefying bacteria in the gut and is anti-parasitic.